VST Connect Pro, Other Sequencer from Steinberg. 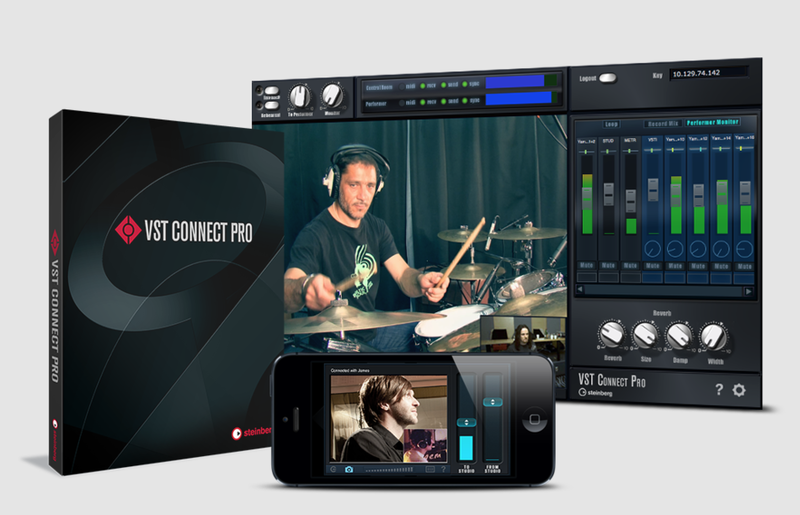 Steinberg joins the community of worldwide remote recording users with VST Connect Pro, a software solution for musicians equipped with Cubase 7. VST Connect Pro allows users equipped with Cubase 7 / Cubase 7 Artist (with built-in VST Connect SE) on Mac and PC and an internet connection to remotely create projects of up to 16 tracks at 192kHz via an encrypted and peer-to-peer system and communicate in real time via video and chat. MIDI is supported as well as VST3 instruments that can be remotely triggered. Along with VST Connect Pro, VST Connect Performer is a free standalone application that installs on the client’s side without the need to use Cubase, and can be remotely controlled from VST Connect Pro. It allows musicians and producers working on the project to participate, listen and comment via chat and video conference. Last, Steinberg will complete the system with Studio Pass, an iOS app that will also give users the opportunity to communicate in video chat and listen to the recordings. 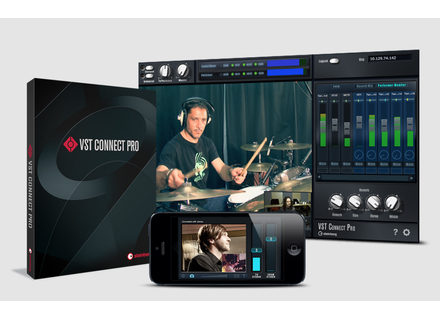 VST Connect Pro is available now for 199€ at www.steinberg.net. The IronAxe virtual guitar updated to v1.5 Xhun Audio updated IronAxe to version 1.5, which adds a new MIDI playable strumming engine to the virtual guitar.